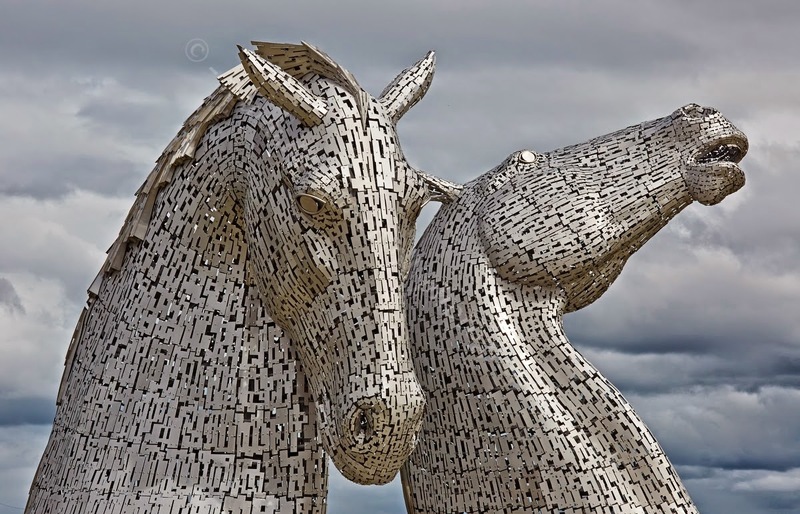 The Hub Review: Great public art is still possible: "The Kelpies"
Great public art is still possible: "The Kelpies"
This post - one of an occasional series on The Hub Review - was inspired by a random image someone sent me of "The Kelpies," sculptor Andy Scott's tribute to the workhorses of rural Scotland. 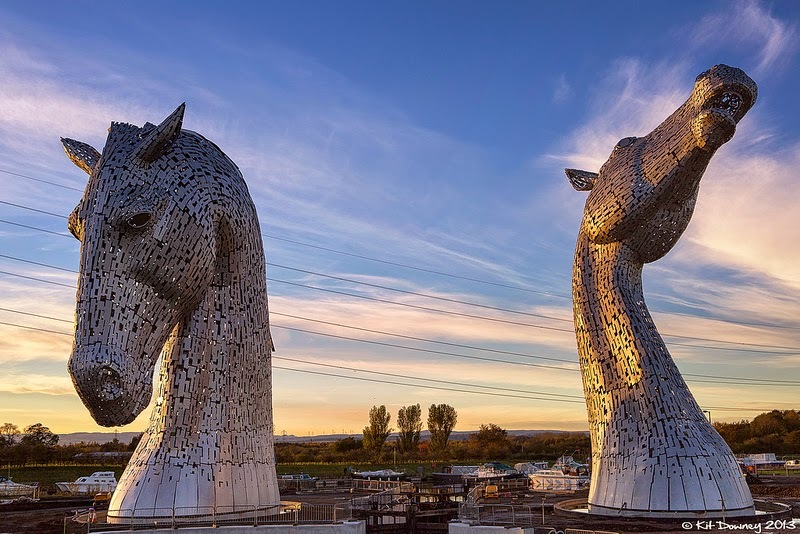 Completed in 2013, the Kelpies stand 30 meters high and weigh 300 tons each; they rear their heads in the center of "the Helix," a parkland project at one end of the Forth and Clyde Canal in Falkirk District, Scotland. The word "kelpie" refers to a mythological, self-transformative beast with the strength of 10 horses - one could construe the title as either a reference to the canals of Scotland, or the beasts of burden who pulled the barges down them. Either way, the sculpture, which sports a gleaming skin of hand-crafted stainless steel plates, is quite stunning. Maquettes have toured Britain, and even appeared in New York. 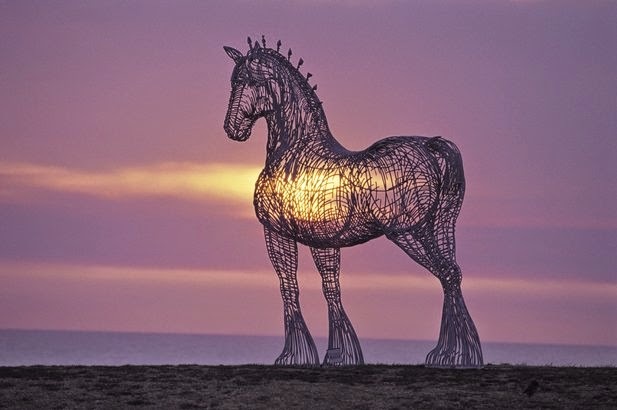 This is not Mr. Scott's first noteworthy equine sculpture, however: "Heavy Horse," a rendering of a Clydescale standing on the main motorway between Glasgow and Edinburgh, is shown below.